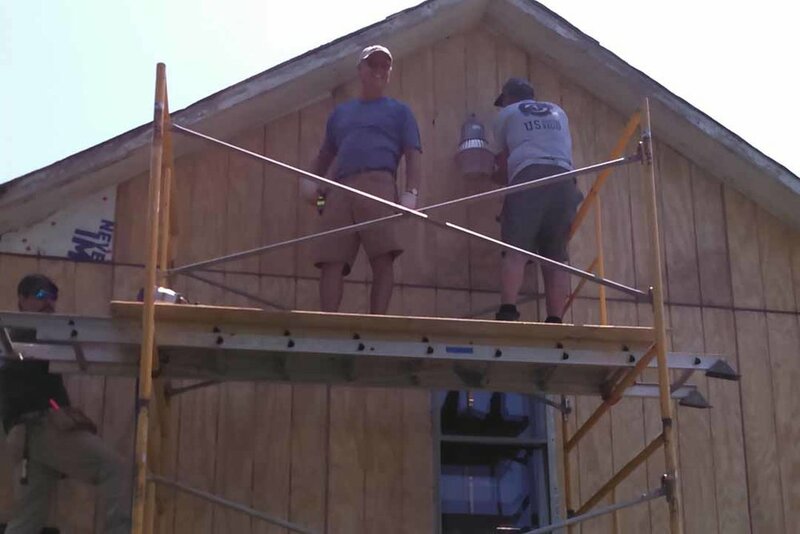 The local mission team traveled across Wood County multiple days in August to work on a house for a church member. 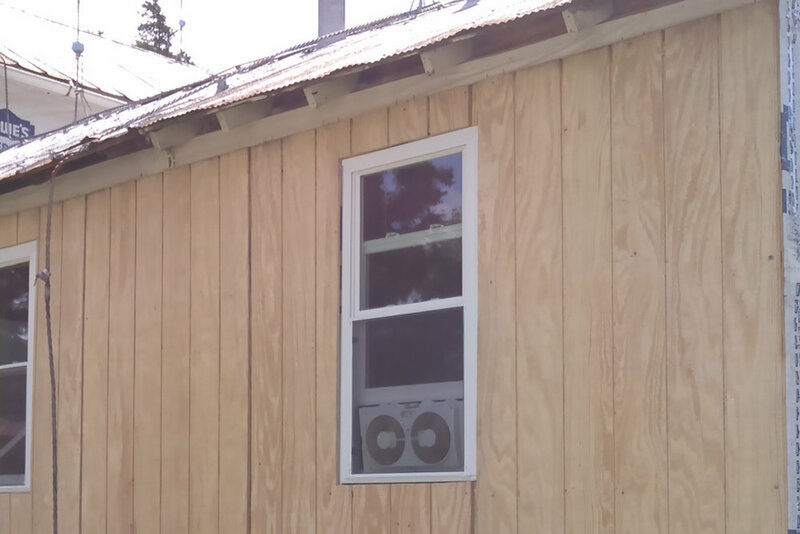 Due to medical issues, the family needed assistance on the home's exterior. 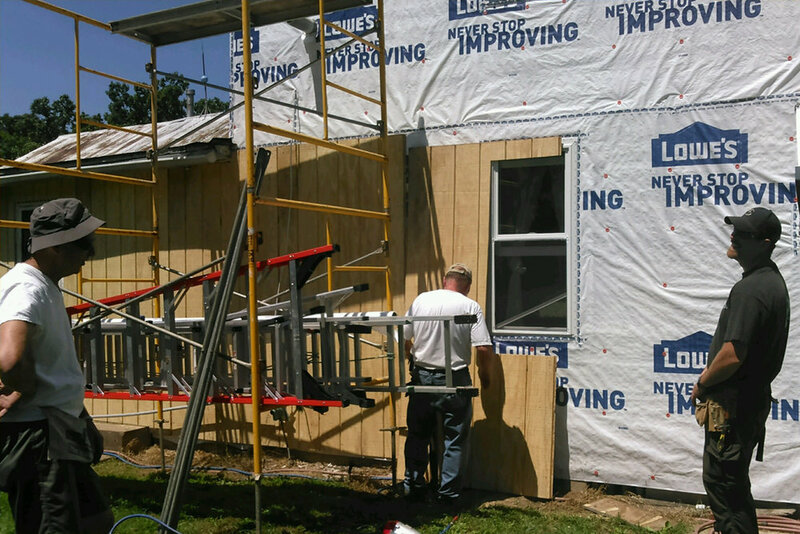 The entire project consisted of wrapping the house with Typar house wrap to seal out drafts. After that they put T-111 siding over the house wrap. The final step was installing the trip pieces to finish up all the joints and trip around the windows and doors. This picture shows the house after the house wrap was completed. Ben and Jim try to figure out how to install the house wrap on the second story. Ron and Ben remove old wet siding. 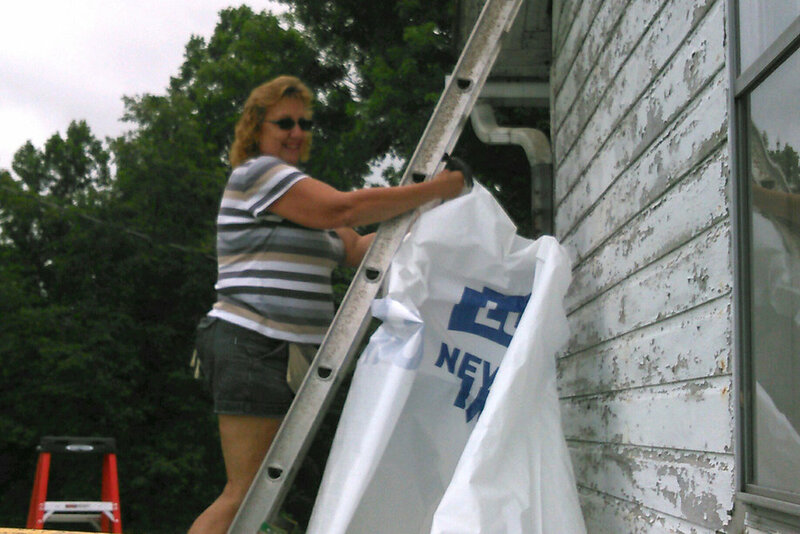 Barb helps install the house wrap. 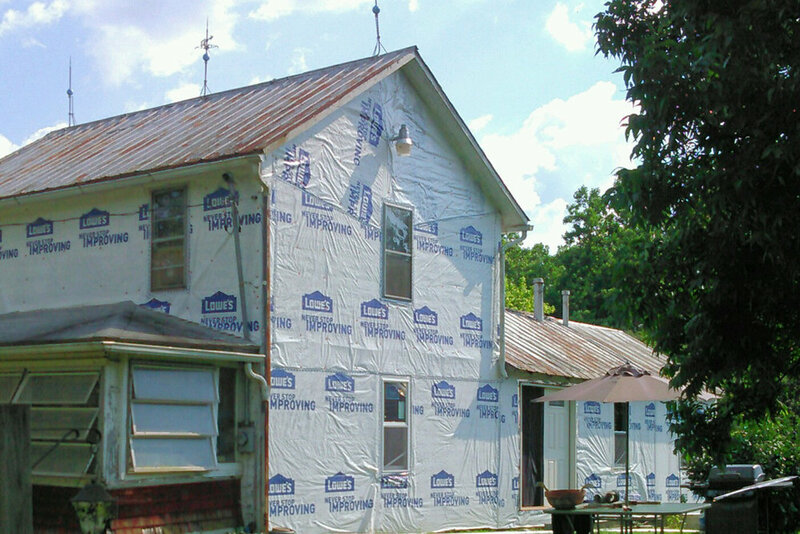 One of our local projects was a roof repair in Parkersburg. The home owners had a leak during rains and was unable to make the repairs themselves. We removed the existing roof material and laid down a new roof covering. This picture shows the existing roof material that was causing the leak. This picture shows the roof after the old covering was removed. This picture shows the new roof covering. This homeowner had a water pipe burst in an upstairs bathroom damaging the bathroom floor and causing a part of the dining room ceiling to fail due to the weight of the water sitting on it. 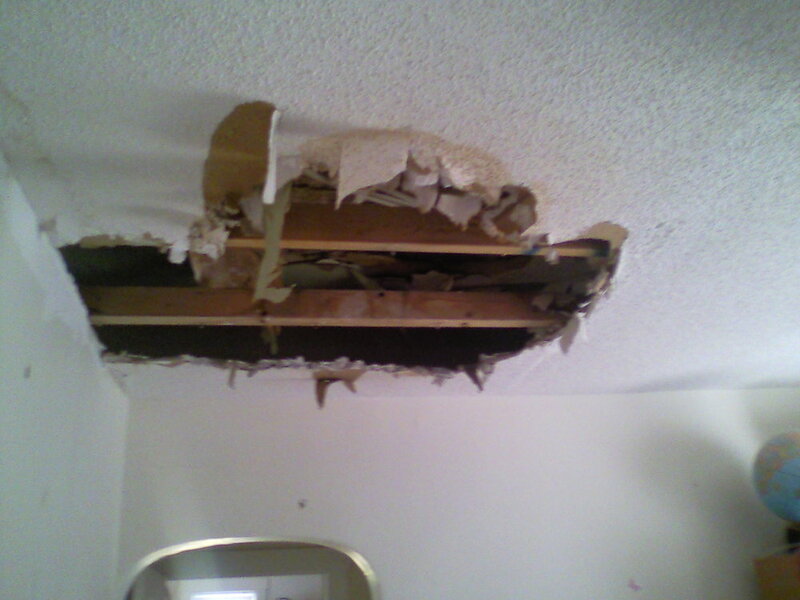 This shows the damage caused by water line break in bathroom above. 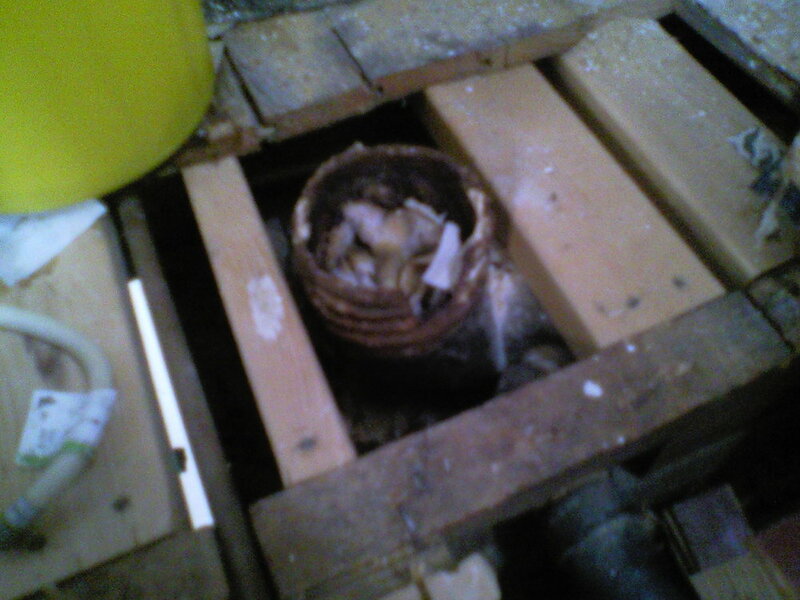 This shows the damage to bathroom floor from water pipe break. This is the ceiling that was repaired. The ceiling material in the far right of the picture will come across the repaired area. 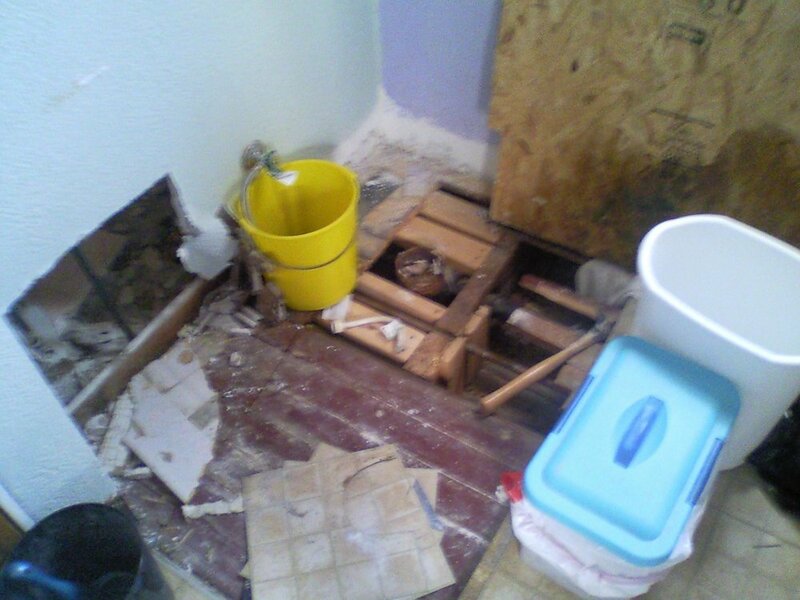 This shows damage to bathroom floor being repaired.